In September 2000, Momo Sakura suddenly started to write her own music. The great love of music flowed through her and became a passion which she continues to follow always. In 2001, Momo partnered with a talented guitarist named Simon Rovis-Hermann, and together they recorded their first album “Awakening”. Together they have toured 12 locations both in Australia and Japan. In 2007, Momo’s work “Snow woman” (original story by Yakumo Koizumi) was premiered in Western Australia University, commissioned by the Consulate-General of Japan in Perth. In 2011, devastatingly the Great East Japan Earthquake struck Japan. Momo felt compelled to help these unfortunate victims and so began performing her music on the street of Perth. It was a moving experience, to feel the love from the people, she also was touched by the great power of music and raised more than $5000 which was donated to charities. In 2015 Momo was recognised as a “Western Australian Composer” by the State Library of Western Australia, where a collection of her works has been archived. It was an unbelievable honour of which she was immensely proud. Since 2005 Momo has seen over 1000 people, giving spiritual advice – seeing people’s true cores is an ability she has felt since her childhood. It is a gift which she treasures and feels honoured to use to help others. In 2016, Momo was diagnosed with stage II breast cancer. Aware of the human potential to strengthen its immune system she decided to follow a holistic approach to recovery. This experience has taught her so much about taking care of herself and living my life to the fullest. 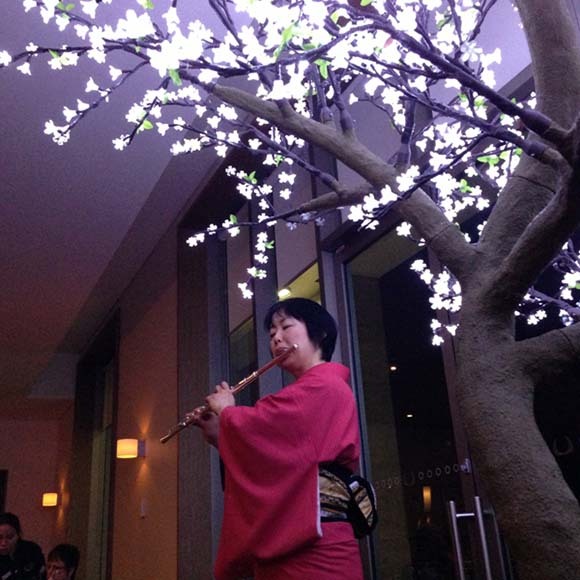 Today, Momo performs regularly as the unit “Flute Oboe” with a beautiful oboist Masayo Miyata. Their extensive repertoires include over 200 pieces. Momo’s vision toward the future is limitless, not only composing and performing music but also speaking about body and mind wellness. She would love to see you soon!